You can see which tracks are accessed by control surfaces connected to your system. Choose View > Channel Strip Components > Control Surface Bars from the Mixer menu bar. 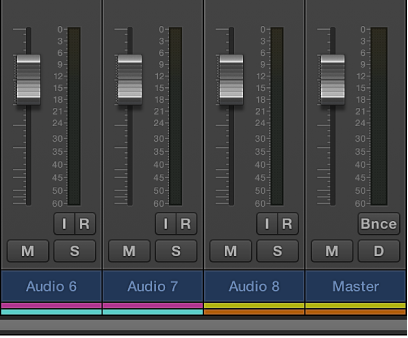 Control-click the Mixer, then choose Control Surface Bars from the shortcut menu.